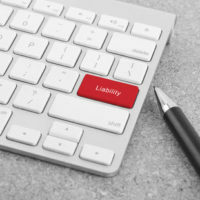 Premises liability is a legal concept which describes the liability that a property owner carries if someone is injured by a dangerous or defective condition on their property. Property owners owe a duty of reasonable care to those who have permission to enter the property. If they knew or reasonably should have known that there was an unsafe condition on the property, and they failed to correct the problem, they can be held accountable for the resulting injuries. In this day and age, the internet is constantly changing what we find out about, and how quickly we are notified. In this sense, the increasing development and popularity of social media may change the rules when it comes to premises liability. Given that social media often involves individuals being put on notice concerning upcoming activities and potentially criminal conduct in very specific locations, how does this affect the property owner’s responsibility to ensure that the conditions on the property are reasonably safe for those who have permission to be there? However, the act and the resulting injury only fall under the superseding cause exemption if the misconduct/criminal activity was not reasonably foreseeable. Therefore, liability may be imposed upon property owners for failing to take precautionary steps to protect those who have permission to be on the property from injuries caused by third party criminal acts if these acts are reasonably foreseeable, and social media can, under some circumstances, increase liability risk to premises owners. In fact, the premises owner has arguably been placed on constructive notice of impending criminal action if there is a popular post about an upcoming act of violence on their premises, especially if the post has gone viral and been shared by the owner or those he or she is connected with (versus being relatively unseen). Although determining to what extent a property owner was placed on notice will always depend upon the specific circumstances involved, premises owners should all arguably take reasonable, affirmative measures to ensure that they are notified of criminal activities near or on the premises. This can include staying plugged into local government agencies, community organizations, local media outlets, law enforcement, and other organizations that typically provide these types of notifications. At Friedland & Associates, we are committed to helping those who have been negligently injured while on someone else’s property. This includes holding Fort Lauderdale property owners accountable for any injuries and ensuring that the injured and their family are taken care of and on the road to recovery. Contact our experienced Fort Lauderdale premises liability lawyers today to find out how we can help you.